Dr Sam Carroll is the Community Heritage Researcher for the Gateways centre. She is a life historian with a range of experience in both the academic and community arenas across a wide variety of research projects. 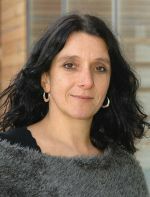 She is also the centre administrator for the Centre for Research in Memory, Narrative and Histories at the University of Brighton and is their steering group member representing community history. She has a doctorate in Life History Research (University of Sussex, 2010) and recently co-curated the Healing War Through Art exhibition about the Brighton Pavilion Hospital for Limbless Soldiers where, from 1916-1919, over 6,000 men were admitted for treatment, recuperation and retraining.